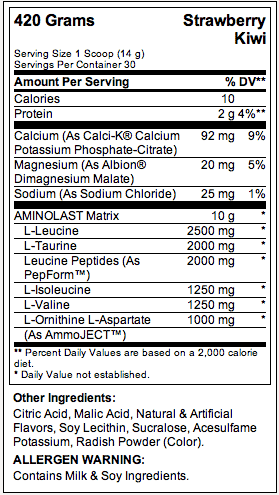 Each serving is so loaded with nutrients that only 1 scoop is required. Enough servings for 30 workouts in every bottle. 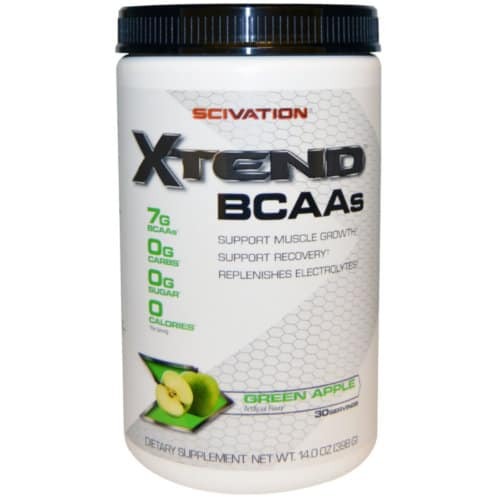 Most BCAA supplements are only last for 10-15. Only 10 calories per serving makes it perfect if you’re dieting to lose weight. 0 grams of carbohydrates makes it great if you eat low carb too. 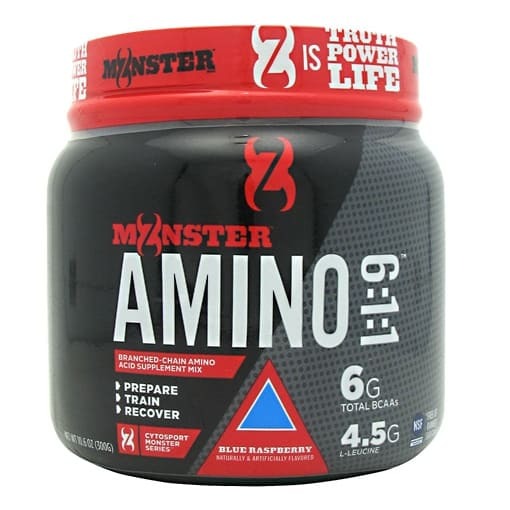 5 grams of muscle building branch chain amino acids (BCAAs) per scoop. Electrolytes to replace what you lose during exercise and keep you performing at 100%. Added nutrients that help keep your muscles from becoming fatigued. Men and women that work out intensely to build muscle and lose fat. Athletes looking for a supplement that will decrease post-workout soreness. 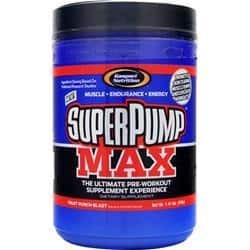 Anyone who wants to drink a delicious, calorie free, drink that can also help them build muscle and lose fat faster. If you eat a low carbohydrate diet and want a carb-free workout drink. 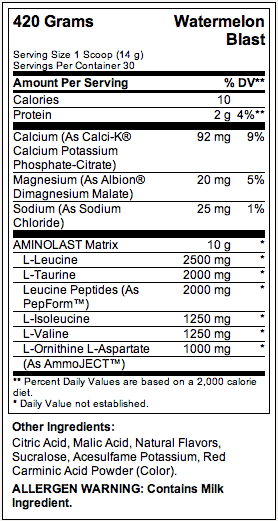 When Should I Drink Aminolast? 10-15 minutes pre-workout to give your muscles fuel. During an intense, extensive workout to keep your energy going. Post-workout to reduce soreness and fatigue and speed your recovery. During the day when to keep your body in a muscle-building, fat-burning state. 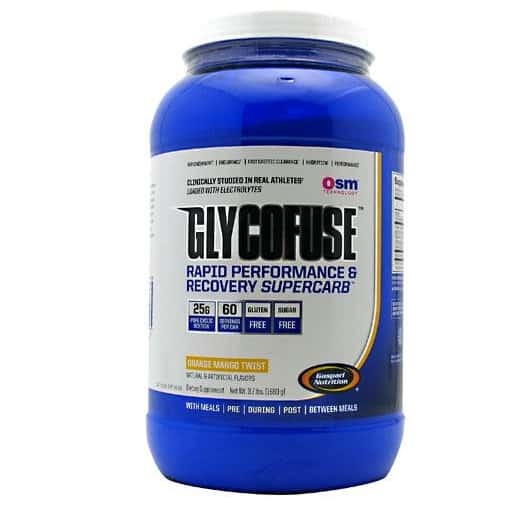 Gaspari Aminolast is a caffeine free, energy boosting, workout drink. Each serving is loaded with the amino acids, electrolytes, and other nutrients your body needs so you can work out harder, longer and recovery faster. 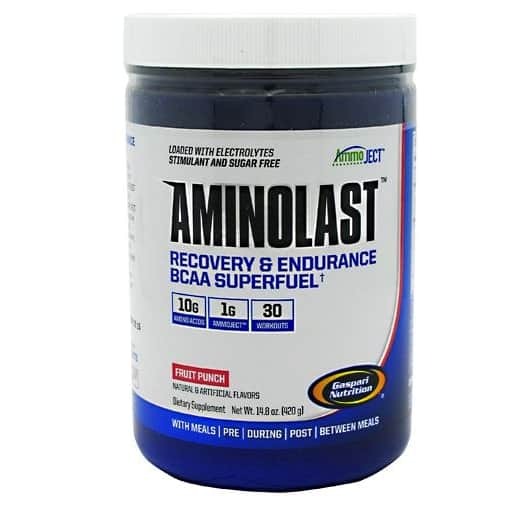 Unlike a lot of branch chain amino acids powders, Aminolast doesn’t have a bitter taste. It’s actually a workout drink that Iook forward to drinking. Out of the 3 flavors (kiwi strawberry, lemon ice, and watermelon blast) I like the lemon the best. It’s a very refreshing drink, especially when you mix it with cold water. 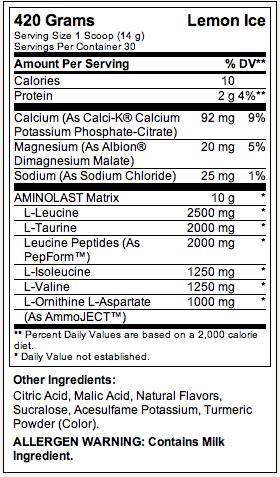 Directions For AMINOLAST: As a dietary supplement mix 1 level scoop (14 g) of AMINOLAST with 8-10 fluid oz. of water. AMINOLAST can be consumed before training, between meals, while training, and post workout to boost your amino acid intake. Warnings: DO NOT USE AS A SOLE SOURCE OF NUTRITION FOR WEIGHT LOSS OR MAINTENANCE. KEEP OUR OF REACH OF CHILDREN. Be the first to review “Gaspari Aminolast – 420 Grams” Click here to cancel reply.